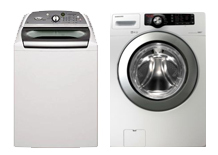 Whirlpool Corporation is the world’s leading manufacturer and marketer of major home appliances. They recognize that consumers lead busy, active lives and continues to create solutions that help consumers optimize productivity and efficiency in the home. 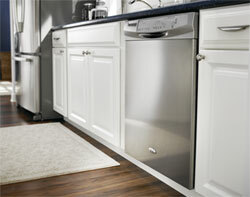 The new whirlpool dishwashers utilize the resource efficient wash system for better efficiency and quiet performance. With features like Jetclean, Increased capacity, Hard Food Disposer, Steam Sani option and Extra Dry Option. The PowerScourTM lets you forget soaking and scrubbing. It has 40 targeted spray jets in a designated wash area, they scour away baked-on foods and delivers twice the coverage to clean large pots and pans without using an additional drop of water. They have the industry-exclusive EZ Adjustable tines that offers twice the space between tines, so that you have the space you need where you need it to fit larger bowls for optimal cleaning. From baked-on casserole dishes to drinking glasses, the Sensor cycle has you covered. It automatically selects the appropriate cleaning and drying level to optimize cycle duration by using two separate sensors to measure temperature, soil level and load size during prewash and wash cycle. It cleans tough soils while using just the right amount of time, energy and water. The Universal Cut Out Design of the dishwasher is shorter, so it fits perfectly in your remodeled kitchen, without sacrificing overall tub height or capacity. (Minimum height 33 1/2 inch). These dishwashers are ENERGY STAR Qualified that is they exceed government efficiency standards, so they are better for the environment and your wallet. The new improved AnyWareTM Plus silverware basket now holds up to 12 more pieces of silverware for maximum flexibility and is designed to clean better. Their quietest line of dishwashers are equipped with our Quiet PartnerTM sound packages and sound-reducing insulation, offer quiet sound levels as low as 51 DBA. It has the premium rail system features wheels on each side of the rack for improved gliding. Wheels fit tight into rails for a smooth feel that slides easily and quietly. The Tall Tub design allows you to load tall and odd-shaped items in both racks. An additional 3 inch of interior space compared to standard tub models makes room for extra-large items in the lower rack and plates or sports bottles in the upper rack. Whirlpool’s latest innovation is the AquaLiftTM technology. AquaLiftTM is a self-cleaning technology that uses 250-degree heat and a new oven-cavity enamel coating to clean without fuss or fumes. All you have to do is before cleaning remove the racks, scrape off excess debris, and pour two cups of water into the bottom of the cavity and after less than an hour, the cavity needs a wipe-down. According to consumer reports, models that come with AquaLiftTM also feature a flat door with a larger viewing window – possible. The oven cavity is slightly large. 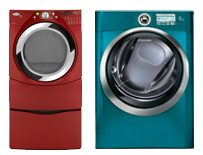 And since the traditional self-clean cycle’s temperature over heats circuitry, the range requires less servicing. Whirlpool brand places the bake element beneath the oven floor, creating a smooth, even surface that is easy to wipe clean because exposed bake elements have an irregular surface with hard-to-reach areas that are difficult to keep clean. With Whirlpool’s 6.2 cu. ft. and 5.8 cu. 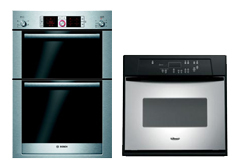 ft. capacity gas ranges you can cook multiple dishes for a large family meal or prepare treats for a bake sale. You can achieve uniform baking results every time with the AccuBake® temperature management system it is a built-in sensor that monitors oven temperature and controls the cooking elements to deliver consistent results. Keep the heat inside your oven while checking on dishes when cooking without opening the door with the EasyViewTM extra-large oven window.